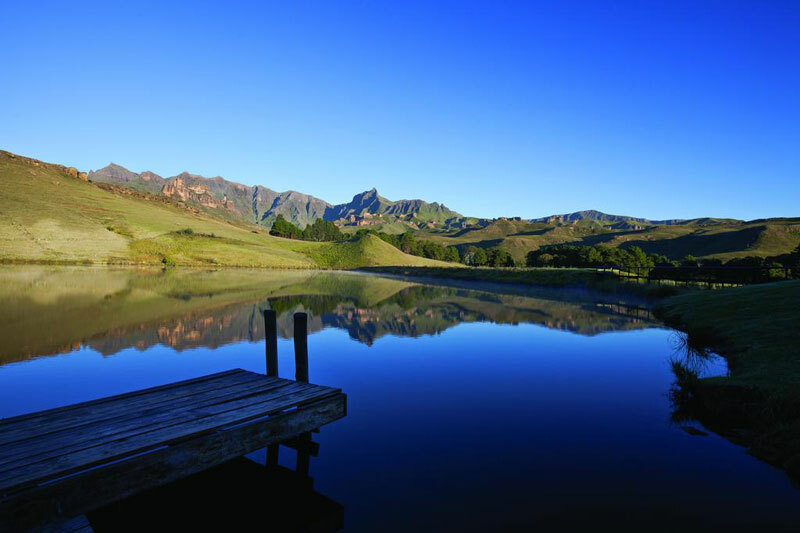 When it comes to finding the best places to stay in the Drakensberg, South Africa, it all boils down to the view. If there are mountains outside your window, or you can drink in their tumulticity (this really is a word, and one perfect for these mountains) from your front stoep, then you’re not going to care all that much about the décor, to be honest. 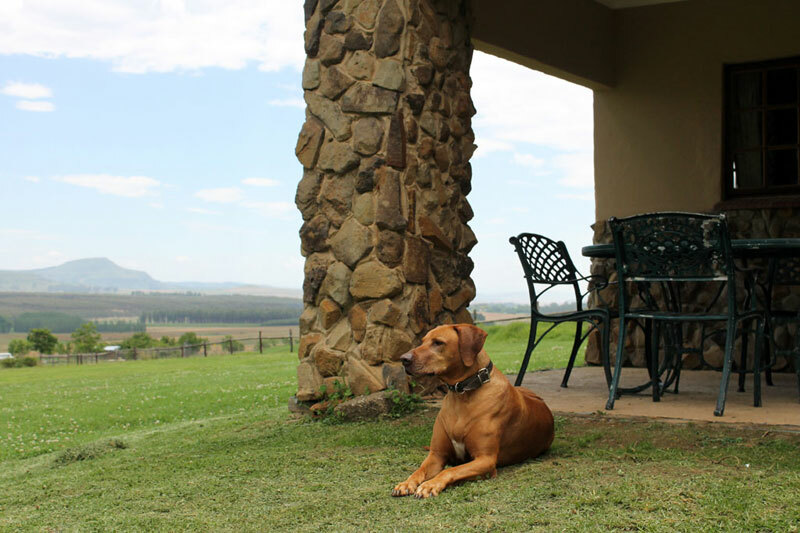 Our list of best places to stay in the Drakensberg does both. They give aesthetic pleasure and an eyeball full of mountains! TIP: consider that the further into the ‘berg you travel (Mkhomazi, Maloti, Kamberg, Champagne Valley, Monk’s Cowl, Giants Castle, Cathkin Peak) the more overwhelming the presence of mountains. 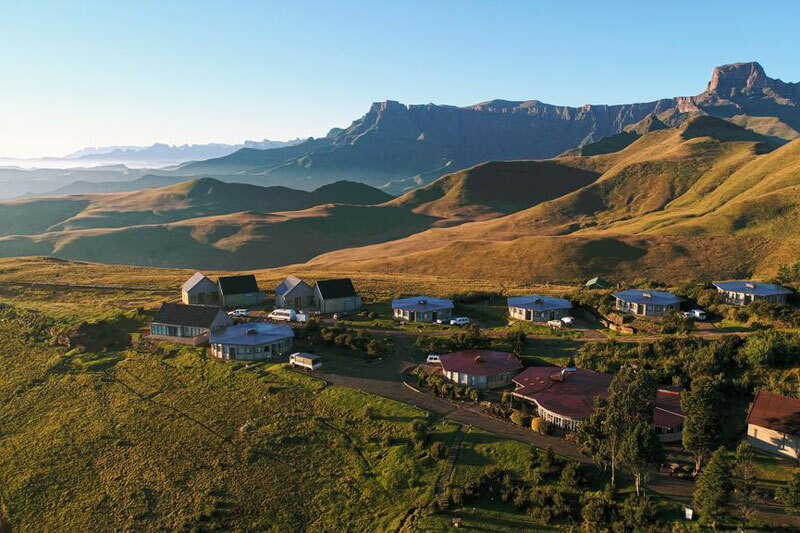 The wonderful thing with the Drakensberg, though, is that its sheer magnitude makes its presence known even in the foothills of Underberg and Himeville. Sigh. You’re perched on the edge of a trout dam literally surrounded by Giants Castle Nature Reserve. There are only 12 farmhouse style rooms to choose from, so this is hardly a ‘resort’. And the gastronomic experience, which includes homegrown ingredients, is said to be equally exciting. 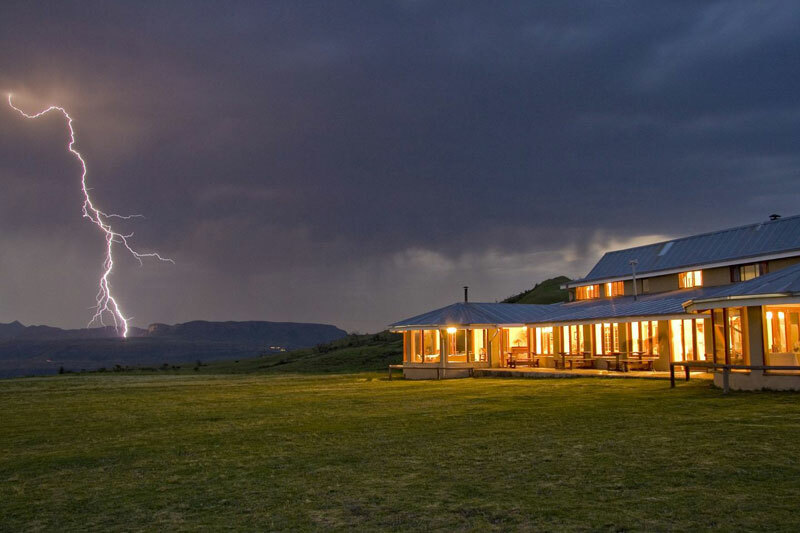 Simplicity that includes all the essentials and a position on a ridge overlooking the Drakensberg and Maluti Mountains close to the Sterkfontein Dam (the Free State side of the Drakensberg). The vast spaces and deep silence will get to you. 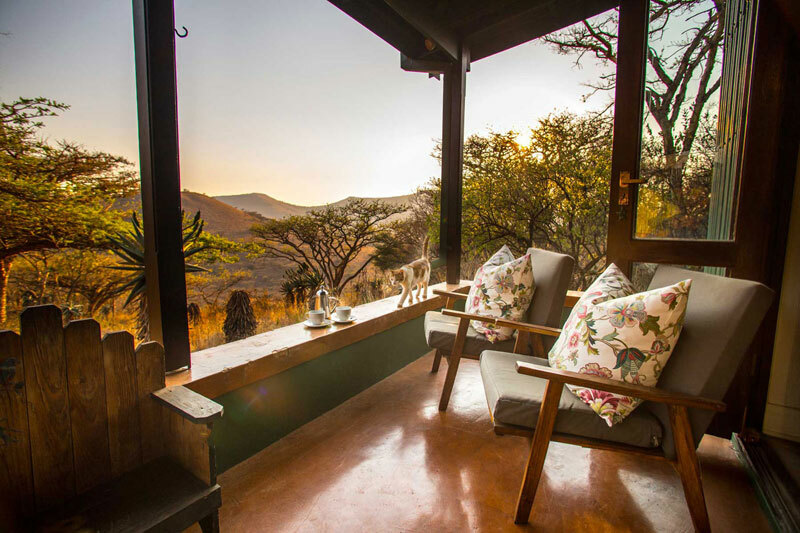 Kwaggashoek dishes up mountain scenery with the added bonus of being a wildlife sanctuary, giving you bushveld trees, wild game as well as mountain foothill scenery. 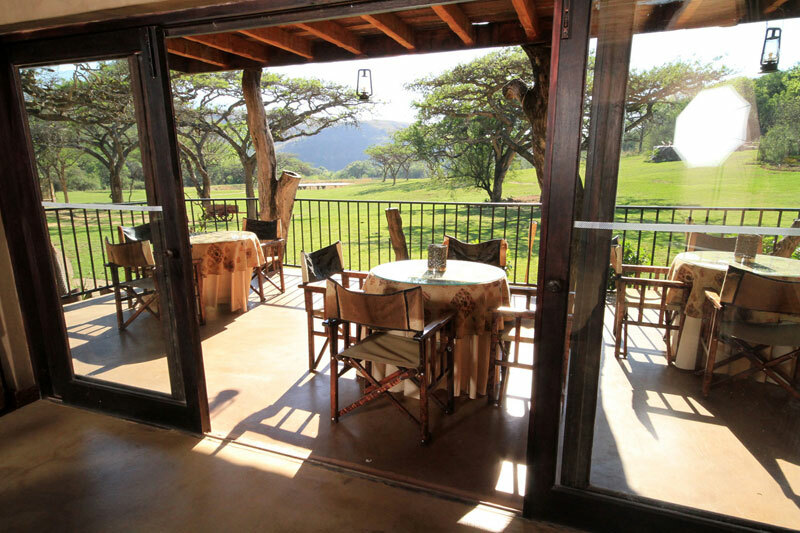 You can’t beat the combination of good food, game drives, and beautiful scenery. 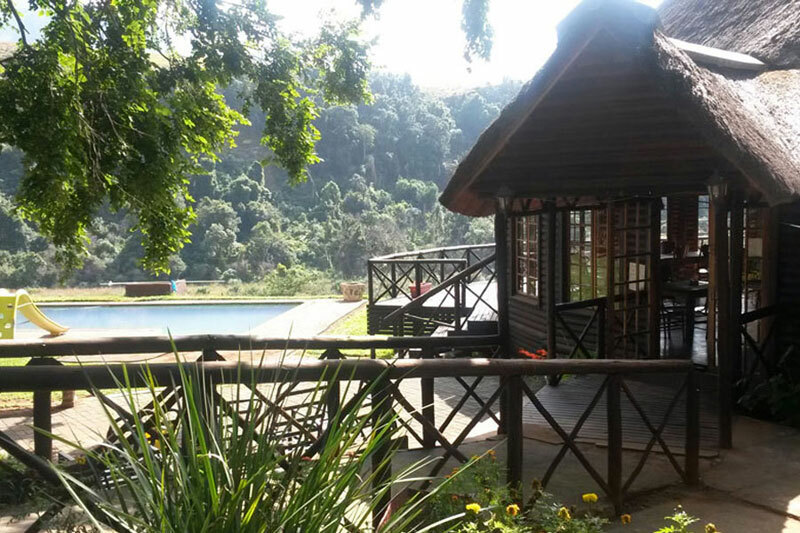 The Cavern lies in a secluded indigenous forest at the head of a valley with views of faraway sandstone outcrops and incredible sunrises, the towering slopes of Hlolela and Sugarloaf your backdrop. 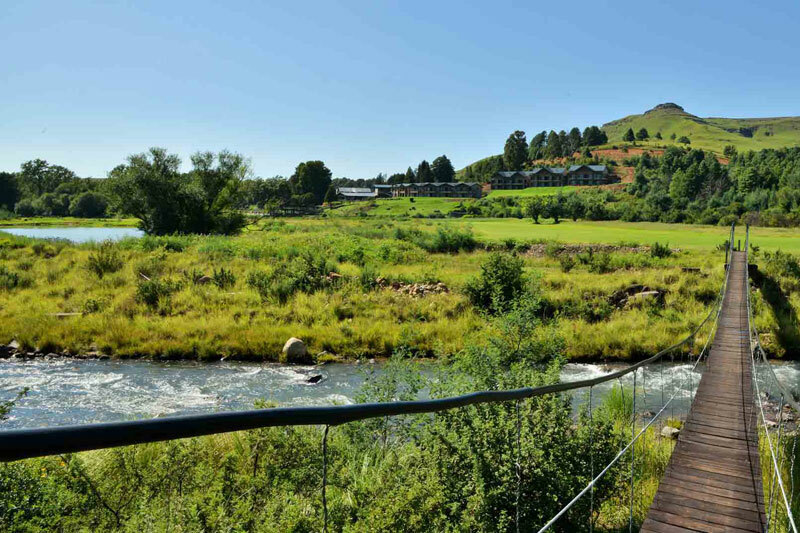 This hotel on the Sani Pass Road in Himeville lies on the banks of the Mkhomazana River its sights set on Sani Pass, the famous pass still accessible only by 4×4 vehicle. Be warned: drive Sani Pass seriously slowly as the road is in a state on the South African side during construction (rumour has it for a tarred version, but we hope not). Real hotel-style living and the breathtaking views from the windows, the crisp mountain air, and the odd round of golf will have you rejuvenated in no time. Simple cottage-style accommodation just outside the Highmoor Reserve. But it’s the mountain views and access to an area of essential wilderness that will bring you here. We can’t get enough of Three Trees. Here you get the best of both worlds. 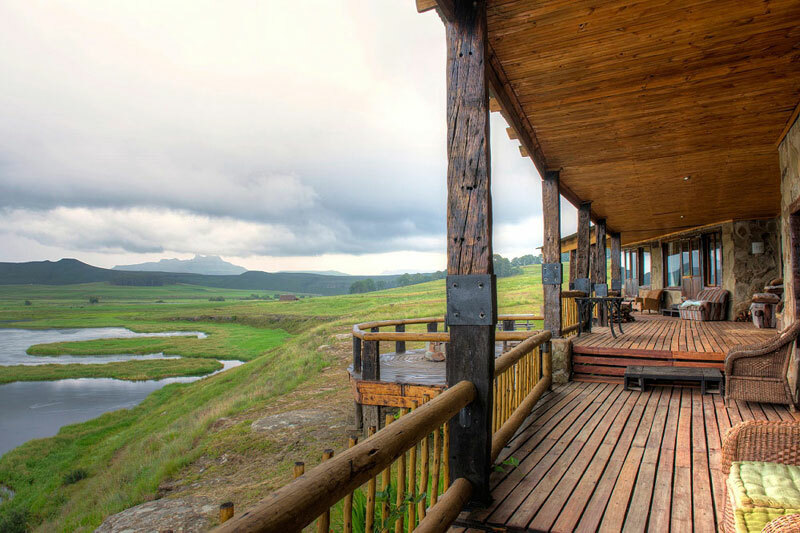 The family-run luxury lodge lies at the foot of the Drakensberg with easy access to the heart of the Battlefields Route. 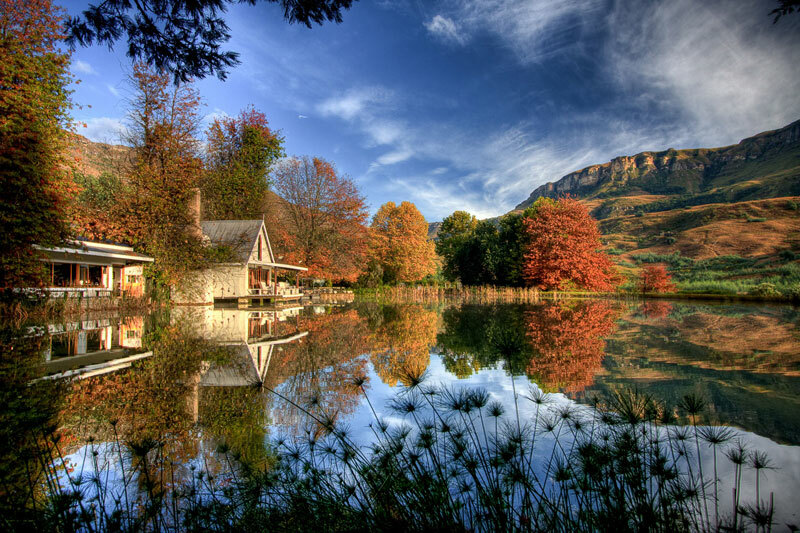 Personally, we’d simply lie and soak up the views from the Family Cottage stoep, or the bath in Double Cottage. Artistic and uncomplicated décor with heavenly views from the communal swimming pool. These views could present a problem if you intend tearing yourself away to take on the hiking trails of the area or the rock pools at Putterill River. 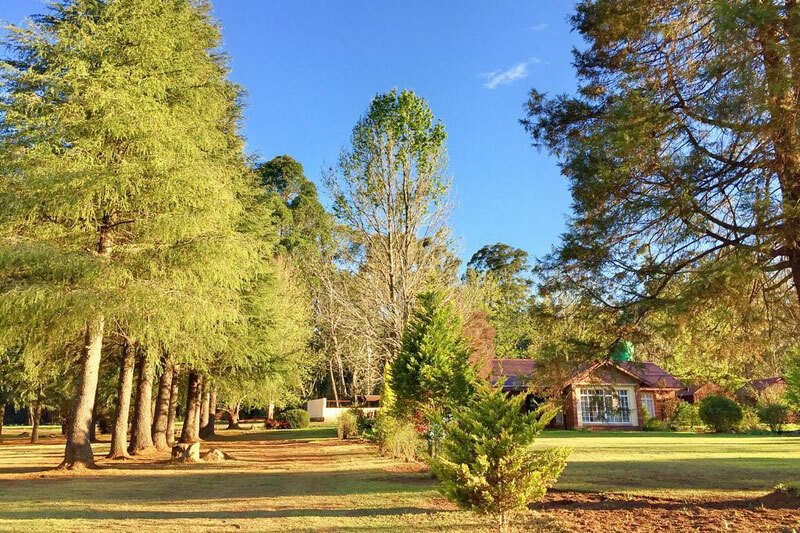 Gentle living in a large garden just outside the village of Underberg with easy access to local hikes, walks and mountain biking trails, as well as incredible views. 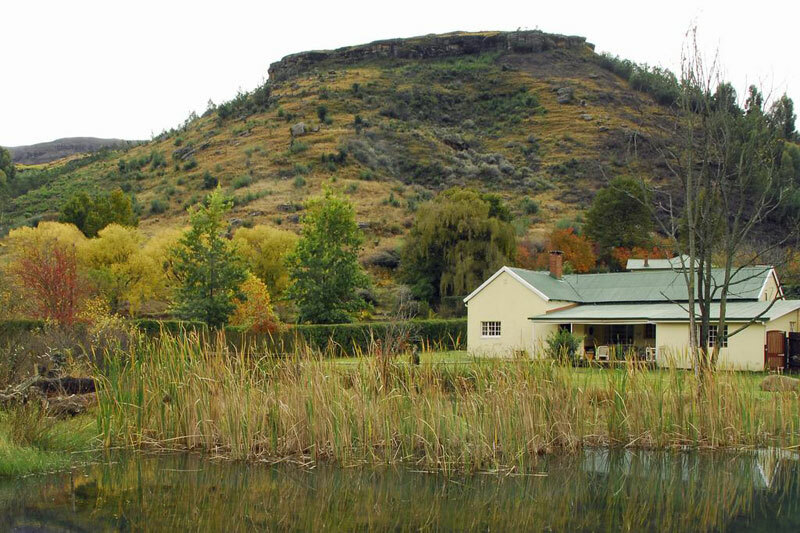 Grab an eyeful of Indabushe Lodge’s fireplace and scatter rugs on stone floors, the views from the verandah at Mtini Lodge, and the delight of Nguni and Riverside cottages, and you’ll be enticed to this farm on the Ngangwane River with its resident wildlife, the mountains rising to the west. 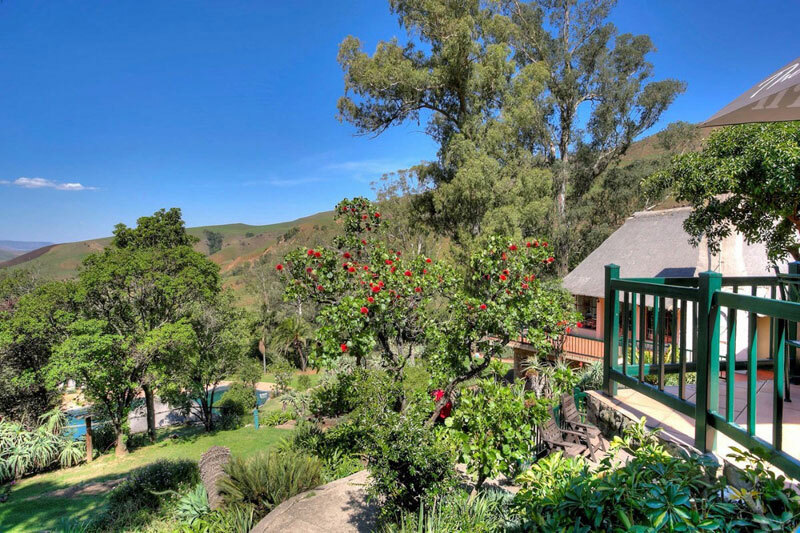 These self-catering cottages are quintessential country-style living in amongst tree-laden nooks at the foot of Sani Pass. If you’re a nature-lover you’re not going to want to leave. 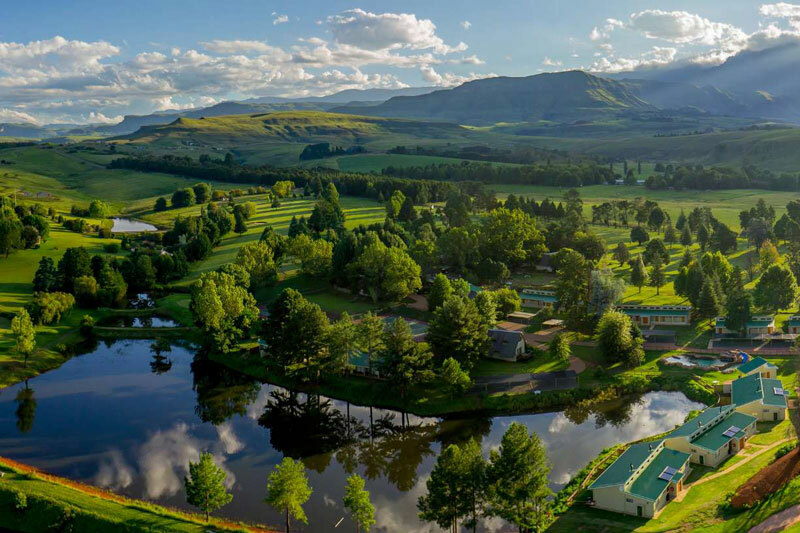 Modest, inexpensive living in an idyllic setting in the Champagne Valley with easy access to some of the best walking and hiking trails in the Drakensberg. 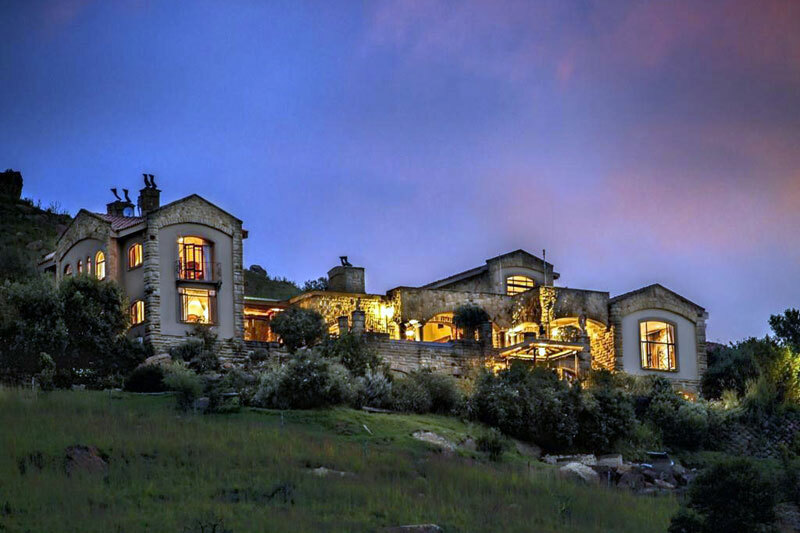 This off the beaten track thatched lodge overlooks Bushman’s River Valley with incredible views of the high Drakensberg. Each of its six double en-suite bedrooms are filled with hand crafted wooden furniture, and uniquely decorated. Plan for slow decadent dinners. Your chance to stay at the home of the well-known Ardmore Ceramic Art Studio which produces internationally acclaimed works, many of which are on display in the Guest House. Also on the farm is Amagwe Craft Centre filled with local crafts and traditional Zulu beadwork. 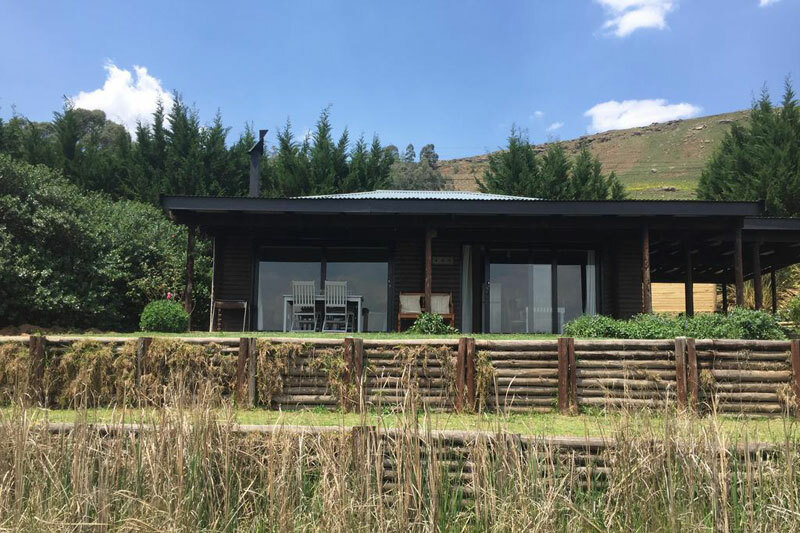 The views from your window of Sentinel Peak, and the chance of snow on the ground during winter, are just two of the reasons why these affordable, cosy and rustic bungalows and chalets are such a good idea. 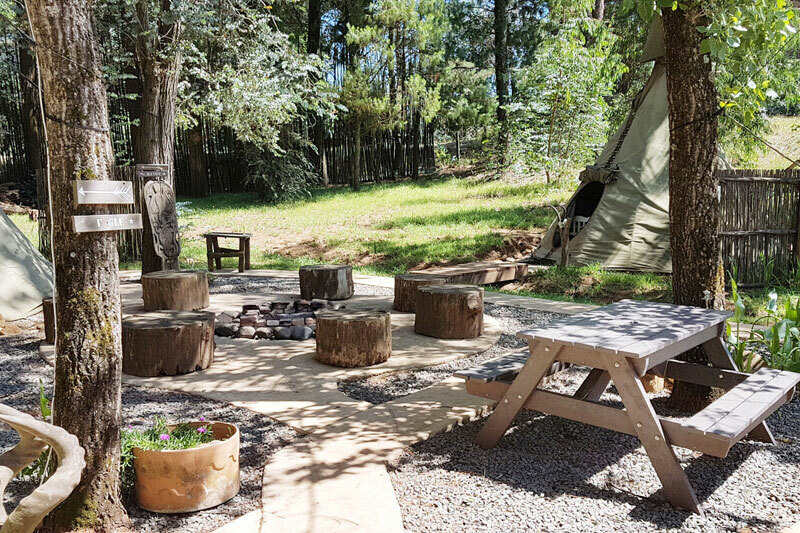 Four Indian Teepees to choose from, or nab the whole place for a group of friends or family – there are even gas heaters and reading material – perfect for weekend downtime. We love the communal kitchen. And there’s easy access into Cobham Nature Reserve. 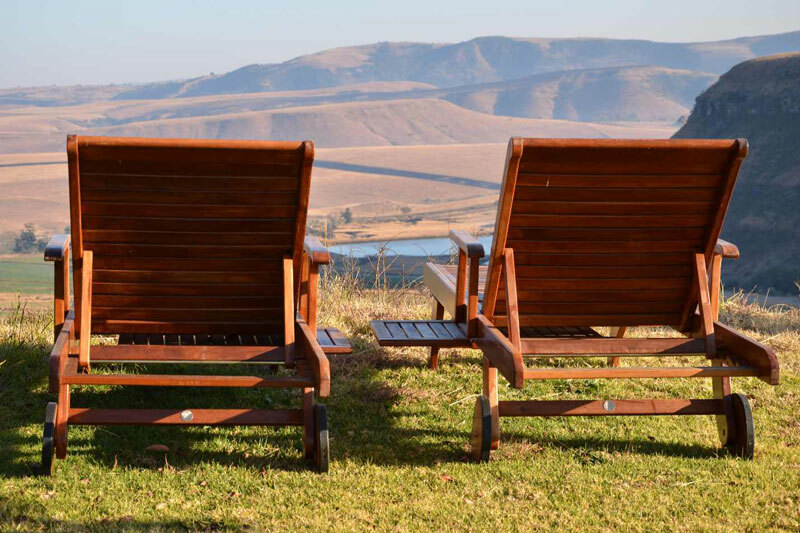 Panoramic views out over the waters of the dam and of Platberg Mountain, Wild Horses Lodge may not be in the heart of the ‘berg, but we’ve included it for its unique appeal. You can either hire it on a B&B basis or in its entirety. Don’t miss out on the three-course dinners.